Ladies, start saving up. 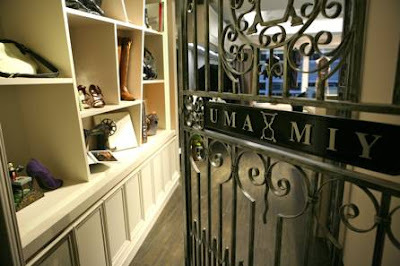 Uma Miy takes up a spot on the too-trendy-for-you On Lan Street and along with its exclusive neighbours, CdG, Margiela, etc, purveys edgy designers you won't necessarily find in your regular department store. Their SS09 sale starts June 19, and I'm betting most people haven't even heard of this little shop, which is why I'm bothering to post about a simple shop sale, which starts June 19. What to expect? 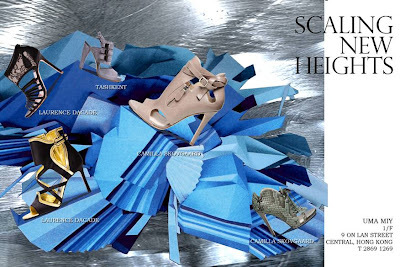 Camilla Skovgaard footwear, if you'll recall, was featured in one of our SHOEroticas recently, and Uma Miy is as far as I know the only local stockist of the brand. Bliss Lau is also worth checking out. Bliss Lau is one to check out as well, her feisty jewellery and accessories -- which include chained up harnesses that go over your T-shirt -- are the toast of the blogger world. The easy-t0-wear silhouettes and fabrics of Sue by Sue Elen go over well too in my book. You'll have to check out the rest of the brands at the store to see what kind of selection is available. The clothing designs are great and they are all so flattering to wear. The Bliss Lau body jewelry/necklace is awesome and so versatile!